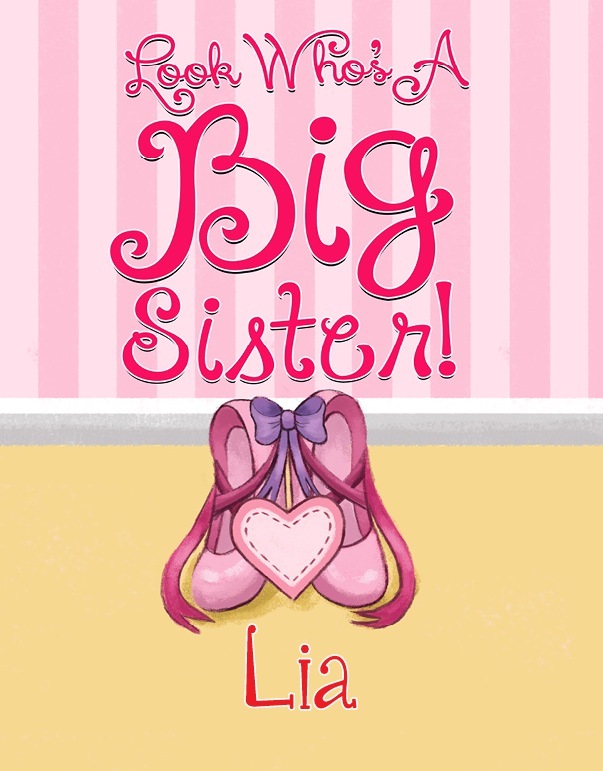 Look Who's A Big Sister! Your child becomes the ultimate Big Sister to his little brother or sister. A one of a kind keepsake that will surely make your daughter feel extra special! ORDERING INFORMATION: The only information required to be able to order this gift is the siblings’ names. All other information provided is optional. Although if provided, it would enhance the uniqueness of each gift created especially for the child.